BEDFORD-STUYVESANT, Brooklyn (WABC) -- Police are searching for a suspect in an assault on a livery cab driver in Brooklyn that was caught on camera. 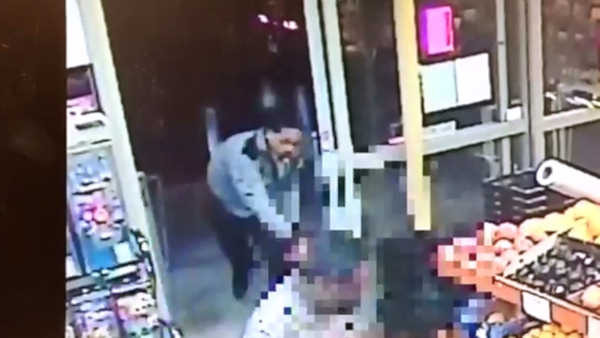 The suspect attacked the driver inside a supermarket in Bedford-Stuyvesant on Wednesday. Police say the driver had just reached the passenger's destination, but instead of paying, the passenger got out of the cab, and tried to rob the driver, pulling him out of the car, and beating him.